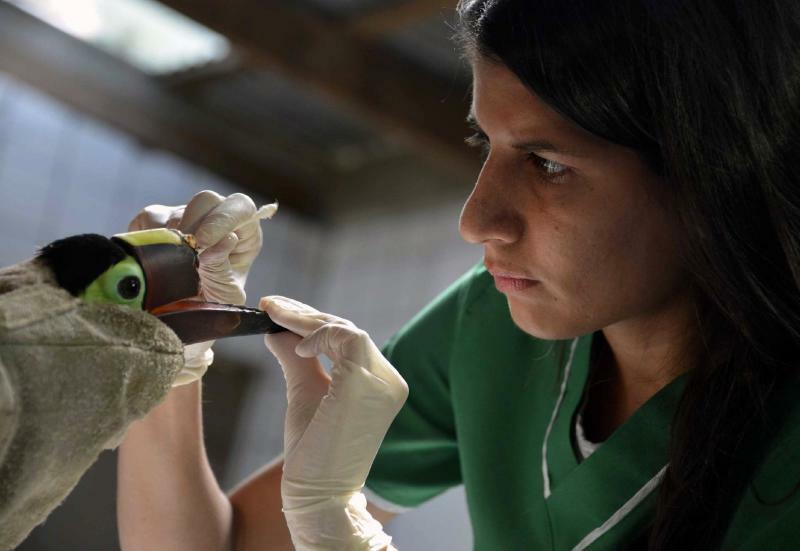 San José (AFP) - Veterinarian Carmen Soto is gently swabbing what is left of Grecia the toucan's bright beak, preparing to fit him with a prosthesis to replace the part hacked off by vandals. 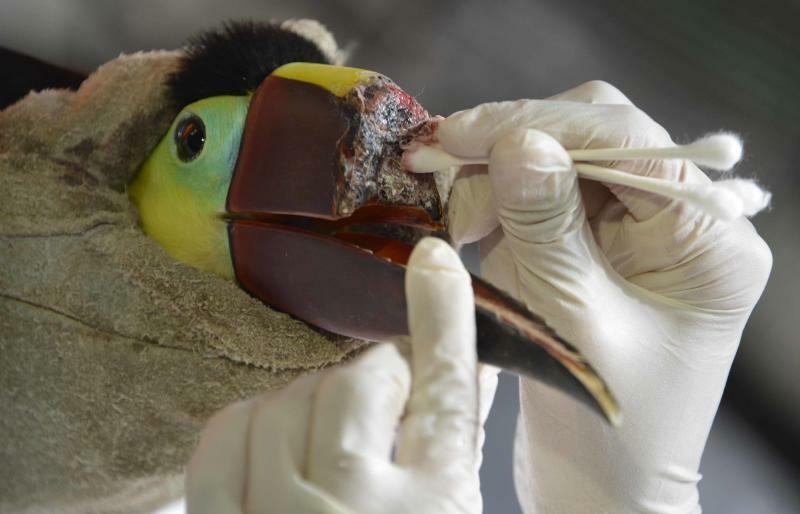 The images of the bird's mutilated red-and-yellow beak caused outrage last month in Costa Rica, where donations for a prosthesis came pouring in after his story went viral on social media -- a new weapon in the fight against the age-old problem of animal cruelty in Latin America. Appalled citizens sent in $3,000 to outfit Grecia with a prosthetic beak after a gang of rowdy youths attacked the bird, which activists say is a sort of half-wild, half-tame mascot for the central town of Grecia. A similar case shook Honduras in January, when a group of young people blew up a stray dog with fireworks and posted a video online. And in Peru, social media users were repulsed when a man whose children had been bitten by the neighbor's dog claimed revenge by tying the animal to the back of his car and dragging him through the street. Such cases usually go unpunished in Latin America, where laws against animal cruelty are mostly weak or non-existent. The network of organizations fighting the phenomenon is also small and underfunded. But social media is changing that, said Cynthia Dent, executive director for the Humane Society International in Latin America. 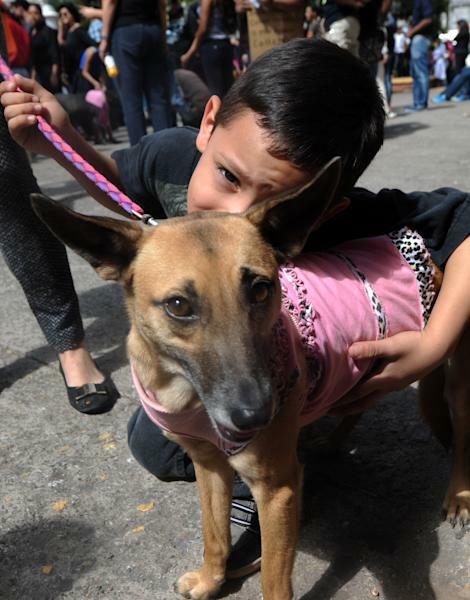 "Twitter and Facebook have increased our awareness of cases of cruelty in Latin America, said Dent from the Costa Rican capital San Jose, the group's regional headquarters. "In the past we would only hear about it when there was a case reported in the press. But now we have outraged people who take advantage of social media to highlight these cases of cruelty and join forces against them." Those protests are starting to spill over from the Internet to the street, pressuring the authorities to act. "The visibility that social networks give to animal cruelty puts more pressure to pass laws," Dent told AFP. Demonstrators have held rallies in recent months in Honduras, Mexico, Colombia, Costa Rica, Peru and Uruguay calling for harsher laws to fight animal cruelty. In countries such as Mexico and Uruguay, animal cruelty is a crime but offenders are rarely punished. Most countries in Latin America impose only a small fine for abusers. In Colombia, for example, the fines range from $2 to $20. "These laws are on the books, but they're not enforced. Prosecutors aren't trained to implement them," said Leonora Esquivel, head of animal rights group Anima Naturalis Mexico. In Costa Rica, a country whose economy depends on tourists drawn to its world-famous rainforests and wildlife, activists are calling on Congress to impose prison terms for animal cruelty -- a fight that has gained momentum since the attack on Grecia the toucan. Lawmakers wary of the legislation are trying to amend it to continue allowing bullfights, a tradition inherited from Spain during the colonial era that remains popular in much of Latin America. In Venezuela, bullfights remain legal alongside cockfights and "coleo," a Latin American twist on rodeo where cowboys on horseback try to grab young bulls by the tail and pull them to the ground. Bulls are also at the center of a legal row in Colombia, where a court last week ordered the reopening of the bullfighting ring in the capital Bogota, whose mayor, Gustavo Petro, had ordered it closed in 2012 as part of a campaign against cruelty to animals.